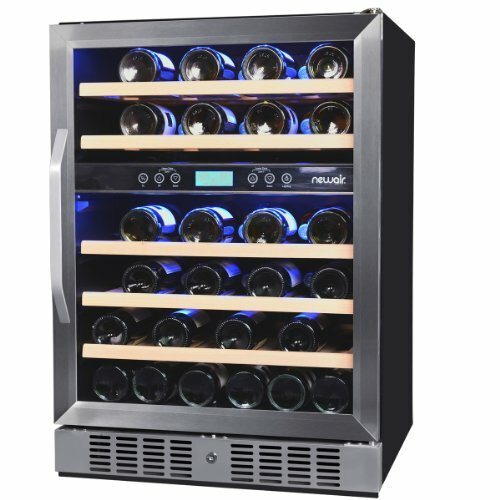 The Transtherm/Vintec Australia company has established a name in the wine storage industry during its more than 25-year operation so you can rest assured that Transtherm wine cooler refrigerators and cabinets are well-made, reliable units that provide the best storage environment for your wines. The Australian-based company specializes in manufacturing high-quality wine storage cabinets that they market and sell under four brand names: Transtherm, Vintec, Helicave and Espace. They focus mainly on the Australian, New Zealand, and Asian market. Designers of Transtherm wine coolers aimed to replicate the conditions existing in natural wine cellars: optimal temperature (12-13 ºC – 53-55 ºF), humidity level and dusk. Transtherm wine refrigerators ensure stable temperature even placed in a room with quite hot temperature (can be used from 0 ºC up to 35 ºC, 32-95 ºF). High-quality thermal insulation for maintaining the constant temperature: the insulation of the wine cabinets consists of 3 layers: the internal wall is made of polyurethane which also absorbs vibration, the exterior walls, these 2 layers are filled with 4.5 cm thick, high-density expanded foam. The thermal pump system built in the units guarantees constant, optimum humidity (55 – 80%) and air circulation to keep the wooden corks moist and prevent molding. Stout but still sleek cabinets with well-built solid beech wood shelves. Top of the line control panel for temperature setting and display. Adjustable legs for easy placement and maximum stability. 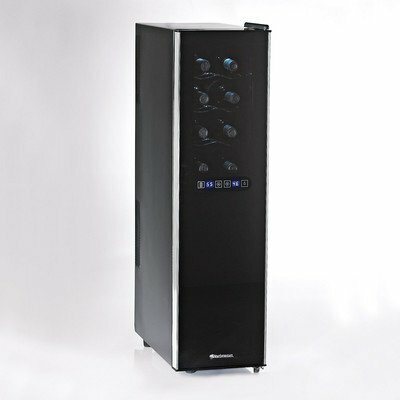 Energy efficient, eco-friendly appliance wine refrigerators- the largest units (Ermitage) use only 0.8 kWh/24 hours. The liquid bulb thermostats are used for thermal regulation ensure fast reaction to the slightest change in temperature and a maximum of 1.5 degree fluctuation inside the cabinet. The Studio model is the smallest model with one temperature zone and with storage space for 36-42 bottles. The Elegance Range wine cabinets are all single zone units, while the Prestige Wine Cooler Range features 1 temperature zone, 3 temperature zone and multi-temperature cabinets.Models in the Prestige range can be ordered with sturdy beech wood sliding shelves (“C” shelving) holding up to 12 bottles or with both storage shelves – storing max. 77 bottles – and sliding shelves (“M” shelving) to get the most of the storage capacity of the cabinet.Cabinets in the Elegance range also come with beech wood shelving with the same shelf type used either as sliding shelf for easy access and accommodating max. 13 bottles, or as a storage shelf used for bulk storage. 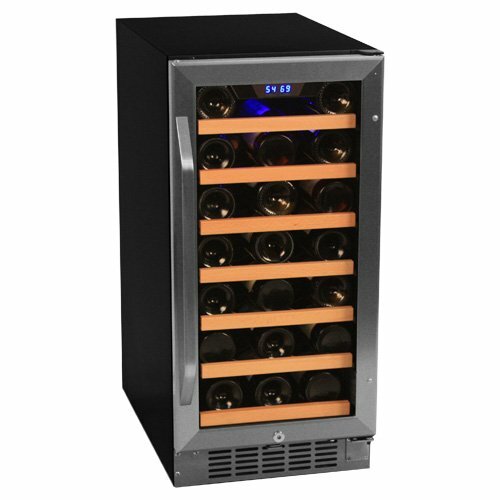 The Transtherm Elegance wine cooler models are available only in black cabinet color. The Transtherm Prestige wine cabinets can be selected in 5 color finishes (standard stock color is also black) and all medium size and large units are available in brushed stainless steel with option of solid door or glass door. By combining two Transtherm wine cabinet models with opposing hinges you have the benefit of creating a wine storage unit that suits your needs the best. For example you can put together 2 Ermitage models with opposing door hinges one with “C” shelving and the other one with “M”shelving to get a 402-bottle capacity wine cabinet. Transtherm wine cellars are ideal for long term storage and aging of wine since they provide proper temperature and humidity conditions. See more on aging wine and recommended wine coolers for aging. Amana Wine Refrigerators – high-end 3-Zone wine storage cabinets. 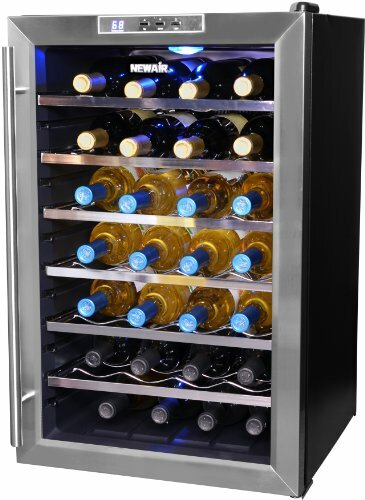 Liebherr Wine Coolers – quality wine refrigerators made that reflect German accuracy and reliable operation. 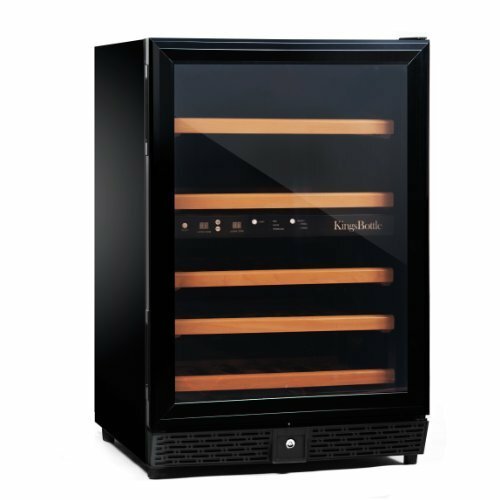 Caple Wine Cooler Refrigerators – affordable, reliable and attractive wine cabinets made in Great Britain.